Former Maoist rebels: Who took the cut from our salary? Maoist combatants at an UN monitored cantonment in this file photo. DANG, Oct 18: Shibalal KC, a resident of Tulsipur joined the People's Liberation Army (PLA) in 2003. He was at the fifth division of the PLA at Dahaban Headquarters, Rolpa and was entitled to Rs 5000 per month. However, KC says that he never received his full salary. “I never received my full salary. They (PLA) would always have cut from it under various headings like party welfare,” he said stating through out his stay at the cantonment he received only Rs 3000 per month. KC had joined the PLA while he was studying in grade 11. 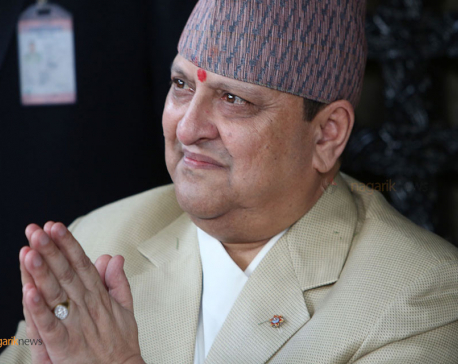 After the United Nations Mission in Nepal (UNMIN) declared him unfit to join Nepal Army during the verification process of former Maoists combatants in 2007. He says that he was given Rs 12,000 as traveling expense to return home. “I was disqualified to join the Nepal Army due to age bar. I was given Rs 12,000 as traveling expense and nothing else. I left my school and joined the rebel force for the cause. But I was sent back with empty hands. Thinking about that all now, I regret,” KC said. He feels that his decision to join the liberation army ruined his life and expressed disappointment for not being been able to do anything for earning a living since returning home. KC is one of the many former PLAs who claim of not receiving their fully salary while serving at the cantonment and who express dissatisfaction for not receiving adequate support in starting a new life after being disqualified for joining the Nepal Army. They feel that they were cheated both during the war and in the aftermath. And now ask, who was at the receiving end. “We would still feel better if we were given full salary when we were in the cantonments. But they always had a cut from our salary, sometimes in the name of party welfare and sometimes in the name of YCL (Young Communist League). Through out our association with the PLA, we were always forced to compromise and that was unfair,” said another former Maoist combatant, Karan Chaudhari of Bijauri - 6. “I used to get Rs 3000 in a month. They would allocate the rest Rs 2000 for the party and YCL. Even though we were being paid a meager salary of Rs 5000, we were forced to give away forty percent of it. That's not fair,” he added. Chaudhari could not qualify in the verification process of UNMIN either. And the reason was the same, under-age. He had also left school without completing high school to join the rebel force. “They showed us thousands of dreams and left us in a lurch finally,” he said. After the conflict came to an end and peace process begun in 2006, former rebels like Chaudhari and KC were very excited. The decision of the government to manage the cantonments and make arrangements to ensure a good future for the rebels relieved them. 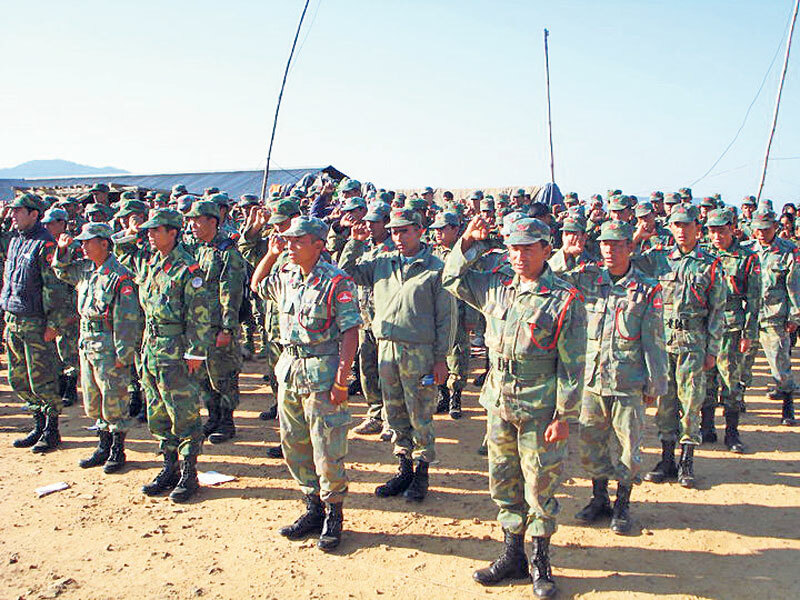 As part of the peace process UNMIN started verification process and rebels who qualified the selection criteria were enrolled into the Nepal Army. As part of the peace process, many things were promised for the disqualified. But while still at the cantonment, some of them were disillusioned about the promises made. When the party started taking portion of the cadre salary, their faith in their own party and the system was dashed. The aftermath crystallized it, recounts Chaudhari. He says many like him felt it extremely unfair when poor boys and girls, who had fought with their life during the rebellion, were deprived of great portion of their salary. More unfair was to forget them and their roles in bringing changes to the country, he said. Recently, commission for the Investigation of Abuse of Authority (CIAA) has shown interest in the matter. Probe into the cantonment funds have been on the headlines of late. Versions of the likes of Chaudhari and KC have given ample of clues on the fund irregularities. Another ex-combatant C P Sharma from Dang stated that he is not sure of the reason for not getting full salary. “I don't know if the center was sending insufficient funds or there were irregularities. But, yes, I never received the same salary. Sometimes it would be more and sometime less than expected,” he said adding he used to receive between Rs 3000 to 7000 in a month. “I cannot pin point the reason behind the variation in the salary. Guessing is not good,” he said. Sharma also spent some of the most productive years of his life serving the PLA. The war cost him his most important organs - his legs. “Life became limited to wheelchair. My legs do not work,” he said in a faint voice. He has been receiving Rs 6200 per month as allowance from the state. 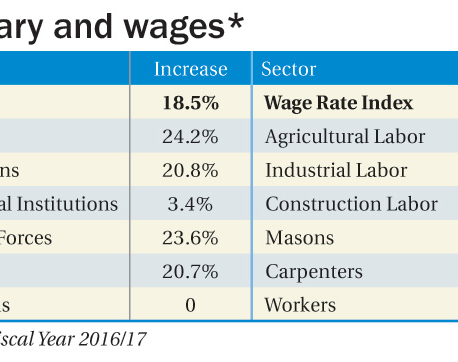 Another ex - combatant Lochan Magar added that their salary sometimes would be cut down in name of social service and development funds. “I don't know if that money was ever used in social services and development activities. The only thing that I know is we lost some of the most precious years of our life,” he said. Magar added that he is not aware what the party leadership or senior cantonment officials did with the money taken out from the salary of low-rank combatants. Commanders of those cantonments reject the claims. Rajbahadur Buda, who served at Dahawan headquarters as its commander for several years said that only a meager amount was levied on their salary for raising social service funds. “They were not paid low salary. A levy of around Rs 20-30 was collected for social services,” he said adding that the collected funds were used to providing relief to flood and landslides victims, among other social causes. We would still feel better if we were given full salary when we were in the cantonments. But they always had a cut from our salary, sometimes in the name of party welfare and sometimes in the name of YCL. 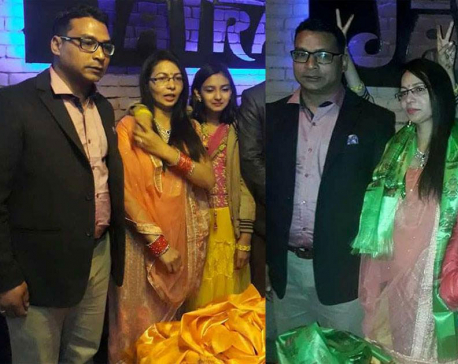 KATHMANDU, March 8: Maoist Center politburo member and former lawmaker Renu Chand has tied the knot for the second time.